There have been several excellent posts about devolution over the summer. As Devolution Director for DWP, managing a team that works across England, Wales and Scotland, I am grateful for the opportunity to give my perspective. 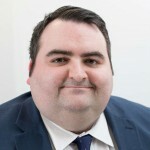 I also worked in the Smith Commission last autumn, and before that I was the DWP Work Services Director for Scotland, overseeing the network of Jobcentres in Scotland, so devolution has been at the heart of a number of my roles in recent years. 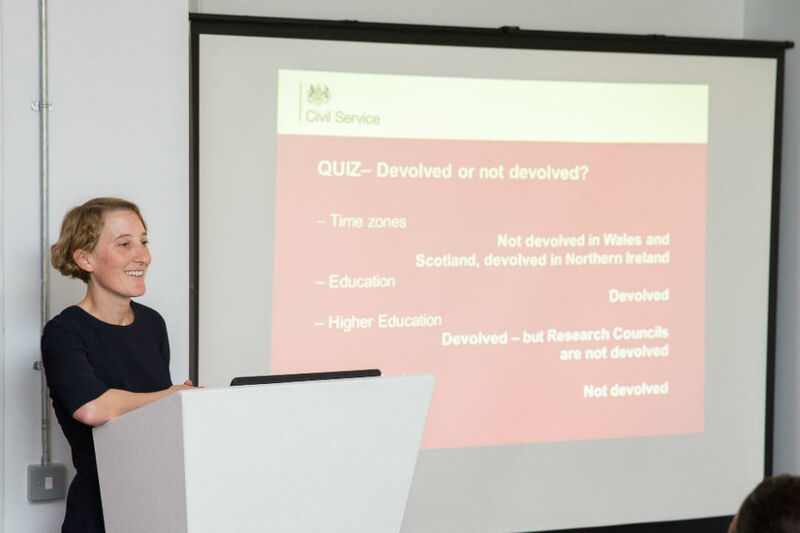 Firstly, I want to give you an introduction to the new Devolution Toolkit, which I’m sure will prove to be an invaluable aid to working with civil servants in the devolved administrations (DAs) of Scotland, Wales and Northern Ireland. Then, because these blogs are about sharing experience and learning about devolution, I will round off with some of the most valuable lessons that I have learnt so far. The toolkit is designed to help you take devolution issues into consideration in your work, and encourages you to work closely and as openly as possible with colleagues in the DAs. I know from experience about the importance of making and maintaining good relationships. Whether or not the specific issues you work on are devolved, these relationships will really help in understanding the full impacts of your work. We all want greater efficiency and better policymaking, and having strong relationships across administrative boundaries can help us to achieve that. The toolkit therefore provides advice on how to build those relationships, not just with colleagues in the other administrations, but also within the UK Government. For that reason, I encourage colleagues from all the administrations to take a look. I’m sure you’ll find something of practical interest within. Please view this toolkit as a source of really useful guidelines and examples of best practice. Colleagues who work in policy may find particularly useful the principles on how to ‘devolution-proof’ policies. Sometimes, just asking quite basic questions can identify issues we would not have otherwise expected. For instance, is a policy actually devolved or not? If not, will it impact on devolved matters? Will there be funding implications and who will be responsible for meeting these? Have I consulted with the DAs for their views? This is an early version of the toolkit, and as such it is likely to evolve. One of the main contributions to this will be your ideas and feedback on what is and isn’t of use or working well. Any views you have will be gratefully received. Please send them to UKGovernance@cabinetoffice.gov.uk. A common misrepresentation is that devolution is only of relevance to policy wonks in Whitehall. It really isn’t! The people reading this blog will be of all grades, from across a range of government departments and in a variety of different job roles - and if there is one certainty in life, it’s that devolution will affect you, your job or your service users in some way. Some of these ways will be profound, others less so. But, anticipating and planning for these now will be time invested rather than wasted. Hearing it said that devolution is something brand new also causes me to raise an eyebrow! For instance, the Scottish legal system is a separate jurisdiction and has always had significant differences (15-member juries, the availability of a third verdict of ‘not proven’, and no system of magistrates courts); and the Scottish secondary and higher education systems are markedly different (Highers not A-levels, 4-year, not 3-year, honours degree courses). So, having studied the past, the natural follow-up is to look at the future. This part is trickier, of course! There are many imponderables, several of which require high degrees of clairvoyancy as we move through the major fiscal events of this year. As civil servants, the biggest thing we can do in the future is to think less about the world of Whitehall and more about the world beyond. How we operate with stakeholders and fellow civil servants outside of London will be just as - if not more - important in the coming years than the relationships we’re used to having with those traditionally closer to us. And building even bigger relationships and gaining broader insight will help you make better policy.